Volume 6 of the fantastic Ethiopiques series is an expanded re-issue of the first lp by Mahmoud Ahmed plus his first single from 1971. While not as clearly influenced by American soul and jazz, there are a few funky cuts that are pretty nice! 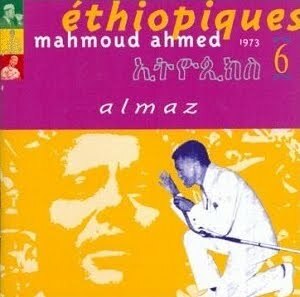 Most of these songs flow with a groove unique to Ethiopian music -- and although Ahmed's songs appear throughout the Ethiopiques series, only one of these songs appears on other volumes ("Kulun Mankwalesh"). With the groovy "Nafqot New Yegodagn" and "Yasdestal". will be djng and sharing w/ the public.